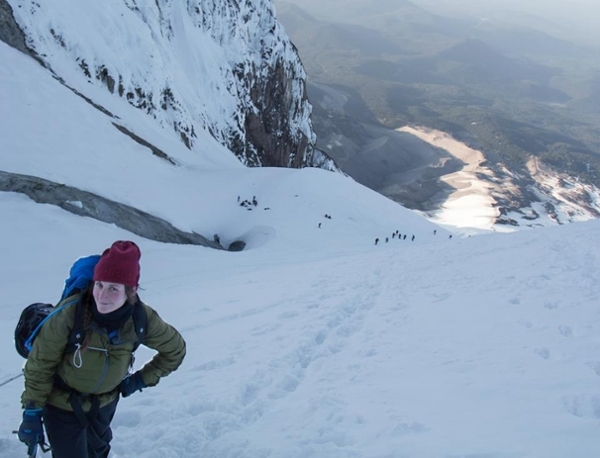 Nine intrepid Reedies climbed to the top of Mount Hood last week in an adventure that surely represents a peak experience. The expedition was a cooperative enterprise uniting two different groups. The first was sponsored by the Reed Outing Club (ROC), consisting of Joan Guldin ’15, Nick Irvin ’15, Helen Spencer-Wallace ’15, Ian Connelly ’16, Vincent Griffith ’18, and Giovanni Corti ’18, and led by climbing instructor Rod Sofich. A funny thing happened on the way to the top of the mountain—the ROC crew ran into Reedies Anton Zaytsev ’18, Daniel Timbie ’18, and Duncan Eric ’18, who were doing an independent expedition. The two groups joined forces and reached the summit together. “The trip represented the culmination of a year of adventures through the Reed Outing Club,” says Chinese major Joan Guldin. 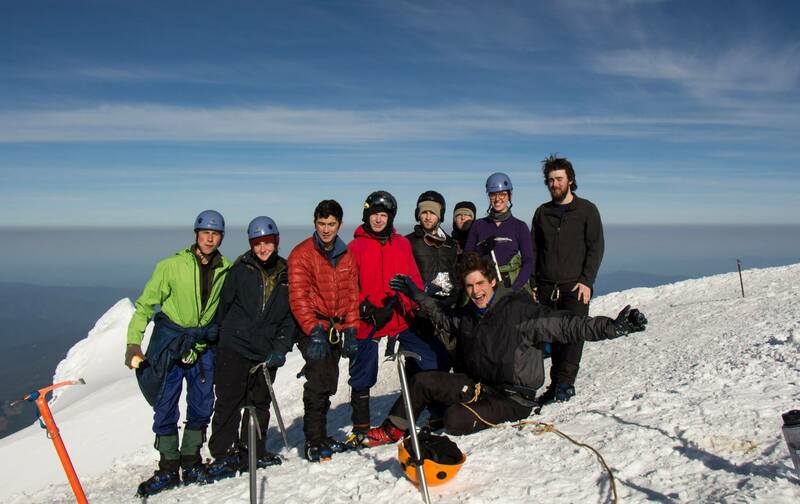 Students also took a class from Sofich through Reed’s Athletics, Fitness, and Outdoor Programs, where they learned how to climb with crampons and an ice ax, self-arrest, and to rope up as a team. The ROC group left Timberline Lodge at 1 a.m. to begin the grueling 13-hour hike. Sofich’s experience proved invaluable on the last part of the technically difficult climb, which Guldin believes would have been impossible without him.